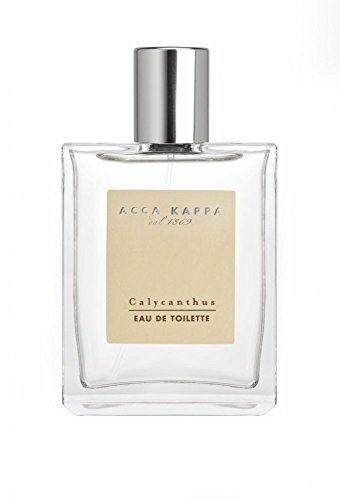 Acca Kappa Calycanthus Eau De Toilette (3.3 fl.oz.). A fresh, floral scent created with the unique essence of the Calycanthus flower blended with notes of Jasmine, Orange blossom honey and Musk. Calycanthus is a flowering plant often found in Venetian gardens, the Calycanthus blooms uniquely in the heart of winter. As the flowers bloom, their wonderful fragrance fills the air, hinting of spring's arrival. According to Venetian tradition, to receive a few sprigs of Calycanthus, is to receive a gift of loving care. If you have any questions about this product by Acca Kappa, contact us by completing and submitting the form below. If you are looking for a specif part number, please include it with your message.